Terra-cotta Warriors and Horses: It is one of the most significant archeological finds of the 20th century. These 6000 life-size painted terracotta warrior and horses-individually sculpted from real life models and arranged in battle formation have been protecting the mausoleum of the first emperor in Chinese history- Emperor Qinshihuang for 2,200 years. * Want to join a group tour? Check our 1-Day Xian Group Tour from Beijing. I will be visiting Beijing for short business tour. Interesting in 1 day Xian tour on 19-FEB-2011. Please qoute 2 options – private and joing the group. We are 8 adults and 1 child who is a year old. We will be in Beijing from Oct 5-10. What would it cost for either a private or group tour? We are a family of 3 people and we are interested in a 1 day tour in Xi an. We are now in Beijing until Monday…when could we go and what would be the price? i will like to have info about the tour were you can actually are beside the warriors and go into the vaults. Hi please could you give price for day trip to xian from beijing. 2 adults and 2 children aged 8+12. we dont mind going by overnight train+ flying back. Instead of giant pagoda,we would like to visist the city wall and muslim qurters. I am interested in the cost of booking a 1 day trip to Xian from Beijing on Wednesday 17th October for 2 x adults. Can someone please send me costs and details? I am interested in the cost of booking a 1 day trip to Xian from Beijing on Thursday the 22th of November. Hi I am enquiring about the 1day tour to xian from Beijing myself and my husband will be visiting in June 2013 . Hi, we are visiting Beijing from 4 September to 7 September 2013 and would like to see he terracotta warriors. We only have 1 day for this. Could you please let me know the price for your 1 day tour to Xian. there is 2 of us. 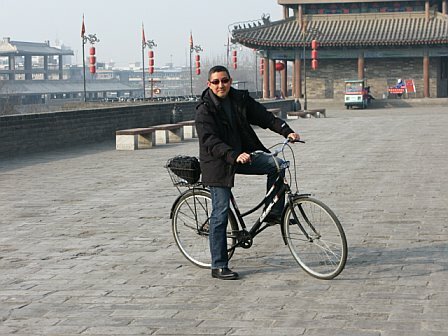 My husband and I are interested in a 1-day tour from Beijing to Xi’an by flight. Could you please give me information and a price?